Welcome “This Old House Magazine” Readers! 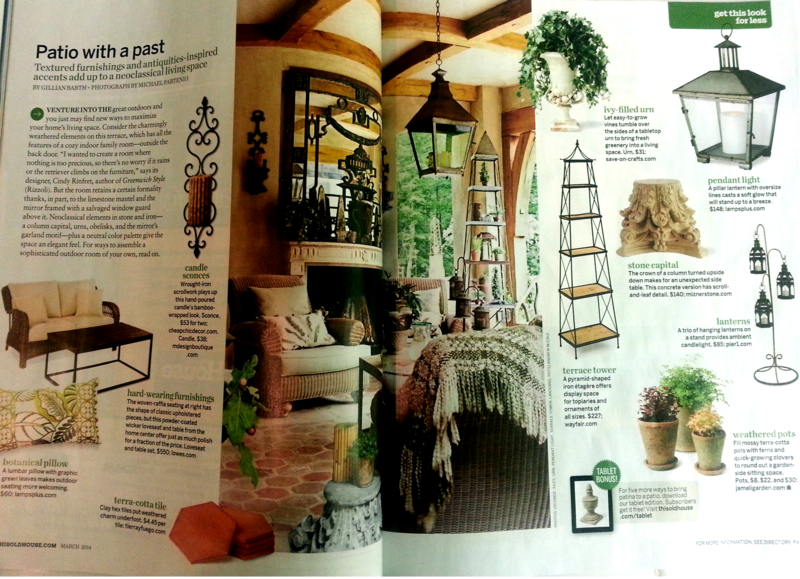 Looking for the candle you saw on page 36 of March 2014 “This Old House Magazine”? Click Here! 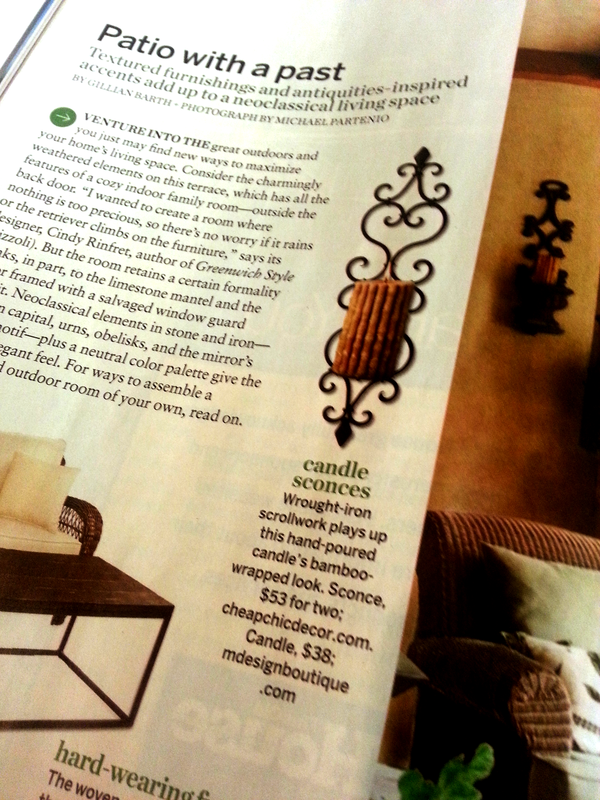 M Design Boutique’s Bamboo Pillar Candle is featured in the March 2014 edition of This Old House in the “Get This Look For Less” section. The featured look is “Patio With A Past: Textured furnishings and antiquities-inspired accents add up to a neoclassical living space” by Gillian Barth. Gillian contacted me in October about the Bamboo Pillar Candle, which comes in any wax, any colors, and any fragrance. The samples I provided for the photoshoot are a natural soy wax blend in a creamy pale golden beige. 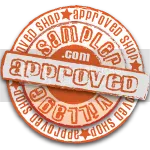 To thank the readers of This Old House for visiting, from January 22, 2014 and lasting through the end of March 2014, use the coupon code “TOH2014” at checkout to get a 15% discount on the Bamboo Pillar Candle (HERE). You can’t smell a magazine, but of course I sent along a lovely combination of bamboo hemp and driftwood. Light, nature-invoking and pretty fragrances blended to match the shape of the candle. Feel free to email info@mdesignboutique.com to request your custom fragrances/colors, or simply order and then send a message to let me know your preferences. Default will be similar to below, and with natural wood fragrances. You can find your copy of This Old House Magazine at your local retailer, or check out their website for info about this issue! There is also an app, and you can get it here free for 30 days (Available on iPad® & iPhone®, Windows® 8 devices, Android™ tablets and Kindle Fire™). Oh my gosh! Your candle looks fantastic! Congratulations! Thanks Kendra! So much fun to see something I made in a pro magazine!